We even added the bow for you, for hospitality at its best. Ideal hostess gifts or party favors. 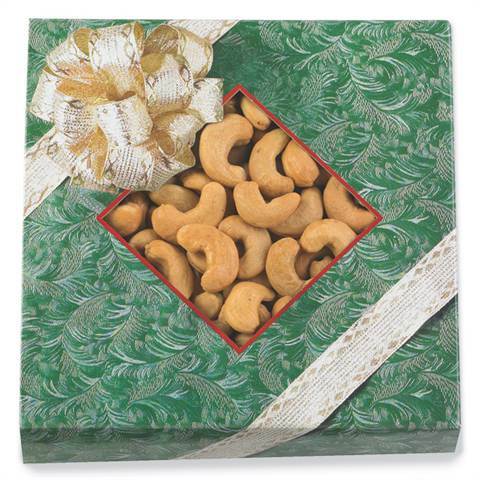 Measures: 7" x 7" x 1.25"
Ingred: super giant cashews, sea salt, peanut oil. Manufactured on equipment that processes & packages peanuts and other tree nuts, May contain trace amounts of other nuts.